The Gaslight Anthem Fan Forum • View topic - Don't be shy. POST COMMENTS! Don't be shy. POST COMMENTS! Everybody has signed up on this website for a reason: your love of Gaslight Anthem! To keep this forum alive and interesting, I want to encourage everybody to please post your thoughts when a topic shows up. We want to hear from everybody about what their favorite gaslight songs are, what performances they love, interviews that are great, and etc. Anybody not registered reading this should sign up and get involved. And for all members: please don't hesitate to post a comment or make a topic. Alrighty then, I guess I'll go first. I am probably one of gaslights oldest fans, if you see an old guy up front its probably me. I've seen Bruce 54 times, saw the Floyd do the wall way back, I've seen hundreds of concerts and enjoy many different genres of music. I am also an avid fisherman. I got into gaslight thru my son, his band had them booked for a show right before 59 sound came out. I appreciate great and original music which is why I love Gaslight Anthem. In all my years I have never heard a band put out excellent music with such consistency. In Gaslights whole library of songs ,there's not one I don't like, amazing. jonester wrote: Alrighty then, I guess I'll go first. I am probably one of gaslights oldest fans, if you see an old guy up front its probably me. I've seen Bruce 54 times, saw the Floyd do the wall way back, I've seen hundreds of concerts and enjoy many different genres of music. I am also an avid fisherman. I got into gaslight thru my son, his band had them booked for a show right before 59 sound came out. I appreciate great and original music which is why I love Gaslight Anthem. In all my years I have never heard a band put out excellent music with such consistency. In Gaslights whole library of songs ,there's not one I don't like, amazing. Thats great to hear man! You are definately not a usual fan haha. I discovered TGA when American Slang was out, but the album I first listen and fell in love with was Sink or Swim, which remains my favorite album of all time. Re: Don't be shy. POST COMMENTS! Just posting here again so then guests who come across this will be encouraged to become a member of the site. Don't be shy now, we want to hear about how much you all love Gaslight Anthem!! I think there are quite a few TGA fans out there. It is just a matter of time before TGA gets a lot more fans (I think they will make it big with their next album). There is another fan site, but it is so hard to navigate and it is dark and annoying to use, and they are unwilling to continue developing the site, hence why this site exists. It is a hobby after all. We are all here for the same reason. If you have any suggestions or ideas to make this site better, please let me know. I am looking to develop a lot, and also looking for people to help out in the process, so let me know if you're interested. Hey everybody! I'm the new guy, and a huge fan, ever since I first heard the 59 sound on the radio like 5 years ago! I would really appreciate if you could check out my acoustic cover of "Drive", although its nothing like original, I promise it won't be a waste of your time. I'd like to know what other gaslight fans think of it, because even though all of my friends are super supportive, not many of them are familiar with gaslight, and definitely not the sink or swim record (my favourite one). thanks for your time, i truly appreciate it! I think it sounds pretty good. 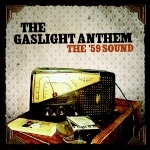 Do you have any other Gaslight covers?